The development of quality innovation approach based on standards and benchmarks are the most striving features of TIDE centre at IIT KGP. The quality of innovation are gauged accurately and fairly to support the research based innovations on high technology. High technology development in the state is dominated by various parameters which need a lot of resources in the form of machines and equipments which is fairly supported by TIDE. The TIDE centre takes one-step forward to leverage companies with advanced delivery mechanism for today’s/ tomorrow’s entrepreneurs. This Center of Excellence enables academia, industry, and government to work together to explore emerging interdisciplinary areas from the viewpoints of rapid innovation, creativity, and job creation, thereby establishing Indian leadership in emerging interdisciplinary areas. Rural area people have a major issue in availing specialized doctor’s facility. A single device acquiring all the health data of the patients and transferring the data to a specialized doctor would be an ideal device in this scenario. This device would acts as a data acquisition and storing warehouse. This type of device which is a part of the health delivery system architecture eliminates the involvement of too many test reports. Combination of this type of system architecture along with the kiosk model shall be very helpful in the rural areas. 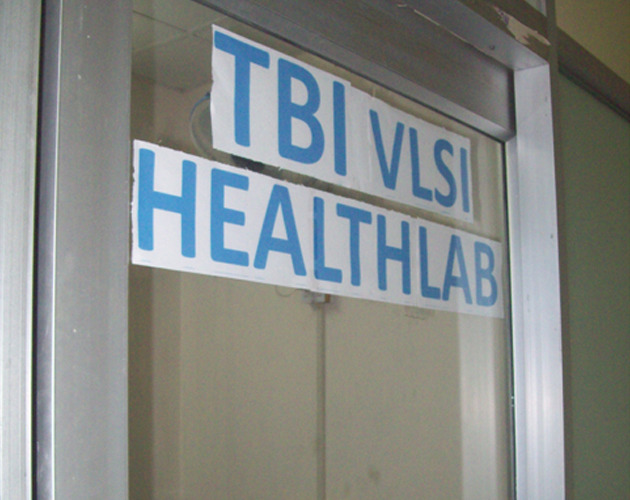 TBI VLSI Health Lab is an experimental lab for such a health delivery model. 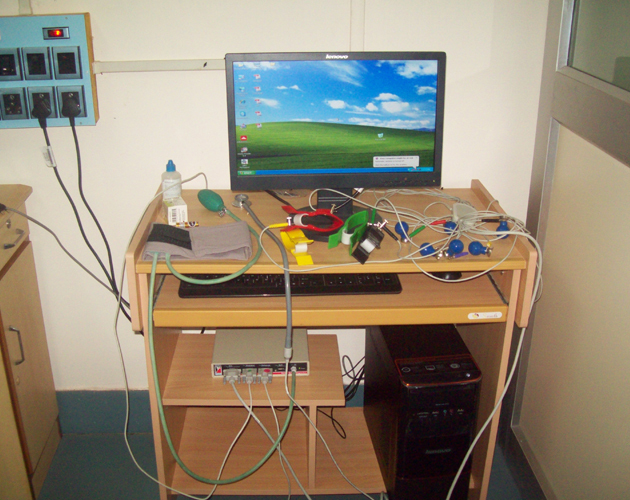 Health lab is equipped with a device comprising of ECG machine, Stethoscope, Thermometer and blood pressure measuring instrument connected to a computer (Patient’s end). 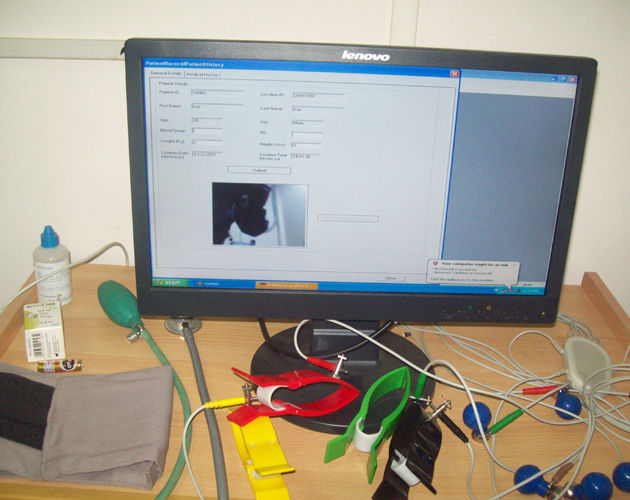 The patient’s vital signs are measured by the individual instruments and stored in the Patient’s end computer which can be then transferred to the doctor’s end computer.